Simply Spray Gold Range REVERSE With The Lights On – It’s That Easy! All Black Bottle product usage instructions are the same as the equivalent Gold Range product usage instructions. Male Flowers Causing Headaches & Ruining Your Crop? What An Ugly Sight! Every Growers Worst Nightmare! No Dilution Required. Ready To Spray – Just Add Gold Range SATURATOR! You’ve heard the rumours……… Well it’s true! Experience for yourself what “those in the know” have been talking about. 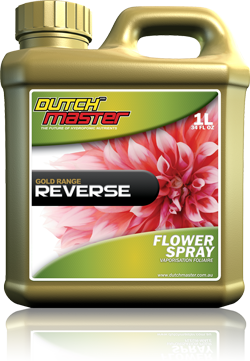 Gold Range REVERSE is the latest design in ‘unwanted-flower’ foliar sprays and follows on from our world renown original REVERSE that was designed by our in-house Plant Physiology and Biochemistry scientists. Gold Range REVERSE is a ready to use (no dilution required) foliar spray that quickly and efficiently helps to bring peace to a grower’s worst nightmare…. awful seed problems! 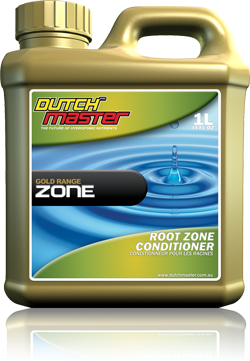 The unique formulation enables Gold Range REVERSE to help reduce that headache! 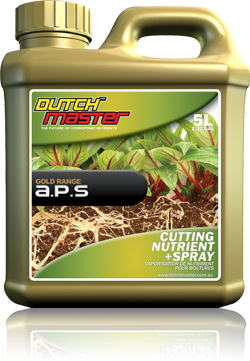 Modern science allows Gold Range REVERSE to achieve this remarkable feat by its beneficial effects on the Mesophyll layer of the plant. This layer is responsible for most of a plants energy production (photosynthesis) and more importantly is the starting point of all the metabolic pathways. 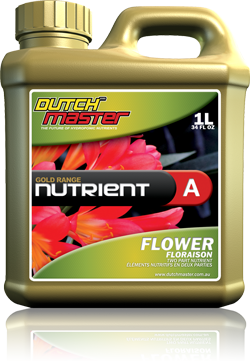 Simply put, the selected minerals provide your plants with the vigour they need to channel the correct metabolites in the pathways responsible for flowering, helping to correct any imbalances. End result for you when you use Gold Range REVERSE… LESS MALE HEADACHES! Note: Gold Range REVERSE will not turn a male plant into a female plant. To use Gold Range REVERSE, simply follow these easy guidelines! 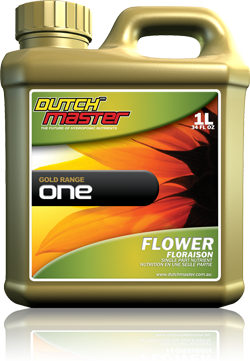 As a preventative aid, spray your plants the first time as required (usually approx 7 days into flower cycle) and once again 10 days later OR can be used at the first sight of trouble by spraying with Gold Range REVERSE immediately and once again 10 days later. DO NOT DILUTE WITH WATER – Pour the amount of Gold Range REVERSE you need into a spray bottle. 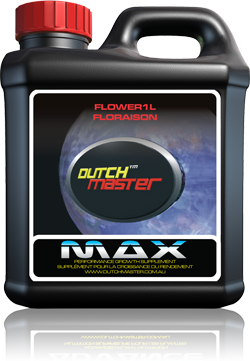 Typically 500 ml / ½ quart is enough for one application for the average sized garden. 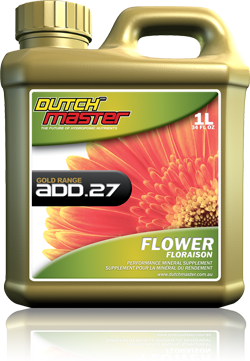 * Important * Add Gold Range SATURATOR to undiluted Gold Range REVERSE at the rate of 10 ml / 2 teaspoons per litre / quart only! A 500 ml / ½ quart spray bottle will require 5 ml / 1 teaspoon of Gold Range SATURATOR and a 250 ml / 8 oz spray bottle will require only 2.5 ml / ½ teaspoon of Gold Range SATURATOR. Gently shake the spray bottle with the solution to make sure it is well mixed. * Important * – you must spray the solution within 15 minutes of adding Gold Range SATURATOR! 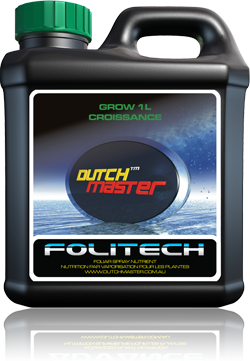 Make sure your lights are a minimum of 24 inches from the tops of your plants then spray your plants until the leaves are evenly coated with the spray solution and a small runoff occurs. MAKE SURE YOU AVOID SPRAYING THE GLOBES / BULBS. 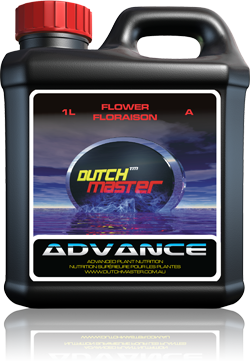 You only need to spray the top surface of the leaf because Gold Range SATURATOR will deliver absolutely everything inside the leaf using the top surface only. If you needed to raise your lights to spray, you may lower them back down after 30 minutes, as all the solution will be absorbed into the leaf within this time.